Manchester City are into the Carabao Cup fourth round after the third round saw two big name casualties in the form of Liverpool and Manchester United. Chelsea, who knocked Liverpool out, are among City’s potential opponents in the next round, along with Arsenal and Tottenham. Pep Guardiola may hope for lower ranked opposition again, allowing him to field a weakened side with a good chance of advancing. 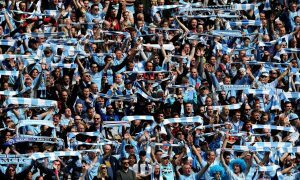 And the likes of Blackpool and Burton Albion would fit the bill, particularly if drawn against City at the Etihad Stadium. Everton and Southampton have yet to play their third round tie, so the full list of fourth round participants is not yet confirmed, but the draw will be made on Saturday night at the unusual time of 9pm.